Starting his footballing career with Banks O'Dee, where he lifted the Scottish Junior Cup in 1957, Stewart was spotted by United manager Tommy Gray whilst playing for an Aberdeenshire Junior Select side. After making his debut as a trialist against Arbroath in September 1957, he signed on at Tannadice part-time whilst completing his apprenticeship as a plumber. After his first season at Tannadice he was called up for National Service, originally posted in Inverness, then in Dover, before heading to Edinburgh whilst with the Cameron Highlanders. In the run in to the end of season 1959-60 however, he was back in the line up and was a vital part of the team that gained promotion to Division One. Now a full-time player at Tannadice, Stewart was rarely omitted from the side over the next four years as United cemented their place in the top league. 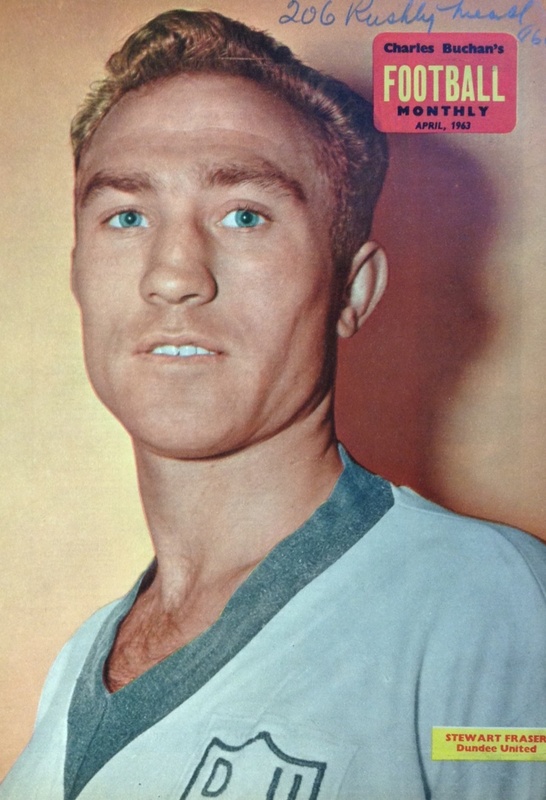 He became the second United player to gain international recognition, playing for the Scottish League, making his first appearance against the English League and scoring a hat-trick against the League of Ireland in November 1962. He was part of the United side that reached the Club's first ever Scottish Cup semi-final appearance, at Hampden Park April 1963. He returned to Hampden for the Club's first ever League Cup semi-final just over a year later. He attracted interest from Newcastle United but two offers were turned down. 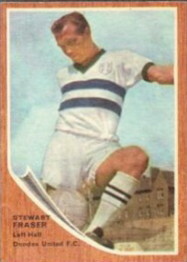 In season 1964-65, a broken leg kept Stewart sidelined for the second half of the season and after that, he was unable to regain a regular place in the side. He stayed with United for another two years, playing mainly in the reserves with just a few first team outings before he was released in May 1967. He became player/coach at Brora Rangers and then spent a year in the USA with Philadelphia Flyers. 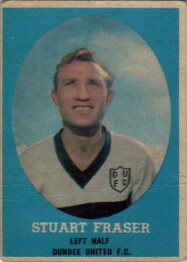 Stewart was inducted into the Dundee United Hall of Fame in January 2010.